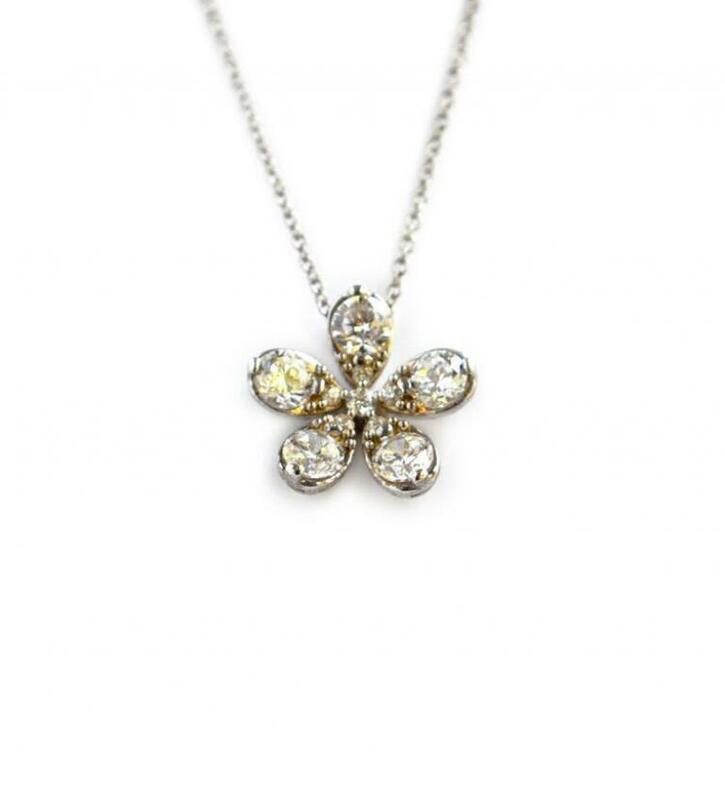 This adorable flower necklace with oval czs are the perfect accessory for and casual to dressy ensemble. You can layer it for a trendy look or wear it alone. And ours comes at a great price point for you! Ours comes in sterling silver with czs, you choose 16 or 18 inch, and can upgrade to gold plated or rose gold plating.